The Hong Kong government has approved the first public facility for the memorial of miscarried or aborted foetuses that have been lost before reaching 24 weeks' development, it's reported. 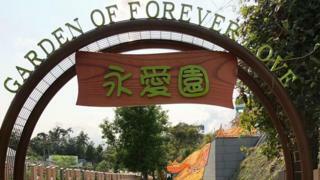 According to public broadcaster RTHK, the Garden of Forever Love was opened today (10 April) in response to increased demand for a public columbarium - a place for the respectful storage of funeral urns - for foetuses. The local Food and Environmental Hygiene Department said that the site was erected because: "we fully understand the worries and anxieties of parents who may encounter difficulties in arranging proper burial or cremation" of their miscarried or aborted foetuses. "The Food and Environmental Hygiene Department has plans to further increase this type of facility in other columbariums," she told RTHK. "The trend towards marrying later in life, stressful lifestyles and environmental pollution have only exacerbated the problem," SCMP said.